What’s it like working as a Chief Engineer? The Chief Engineer is the manager of the engineering department and is responsible for the engine room’s efficient operation and the operation of all mechanical equipment on the ship. In this respect, the Chief Engineer shoulders much responsibility for the safe and continued running of the ship. However, it is important to note that while the Chief Engineer has control and decision making powers for the engineering department, the overall charge of the engine room lies with the Master, to whom the Chief Engineer reports. 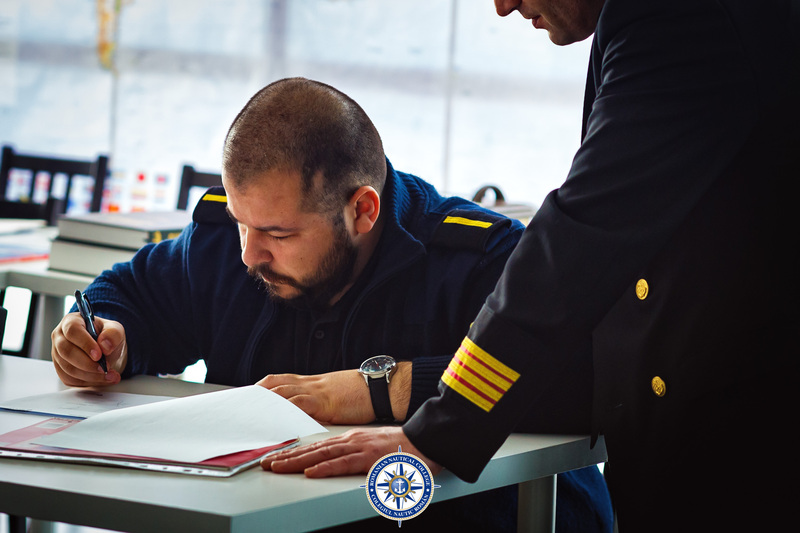 Like other seafaring roles, the Chief Engineer can often be onboard a ship for about 24 weeks at a time, with paid rest periods of about 12 weeks between sea voyages, depending on the company and the contracts. All planned mechanical and electrical maintenance falls under the Chief Engineer’s remit, which will require detailed records of engine parts and repairs to be kept. The Chief Engineer is also responsible for calculating fuel, water consumption requirements and coordinating operations with shore side engineers. When the engine room is due for inspection by the local marine or safety authorities, the Chief Engineer ensures that the engine room is ready for inspection. Chief Engineers are readily employed by shipping companies, classification societies, and offshore companies and the work is, by its very nature, truly international. Positions are available on a range of merchant ships, including tankers, cruise ships, and ferries, as well as super-yachts, offshore rigs and support vessels. A Chief Engineer is plays a vital role on-board a ship in making sure that the mechanics or the ship do not let it down. Watch Engineer wakes me up. I do my morning exercise, take a shower. Breakfast, immediately followed by meeting in Master’s office for all senior officers. Chief Officer reports that Fitter is required for work on deck equipment and First Assistant Engineer (1AE) includes this in day’s work schedule. Discussion held on preparation of ship-specific contingency plan as instructed by Acomarit for Y2K. All engine room staff, i.e. Engineers, Motormen and Fitters, have meeting in engine control room to receive orders for the day. These have been prepared the evening of previous day when I and 1AE agreed preliminary plan of required works. This meeting is quickly completed and the Motormen and Fitters proceed to their tasks. Maintenance of the all ship equipment is under Amos-D system. Each Engineer has checklist created by me using the Amos-D system at the beginning of current month. These checklists include all necessary works which have to be done in this month in accordance with run time list. After this I discuss with my Assistant Engineers the plan of work for forthcoming port visit. Mooring at St Petersburg is expected in the evening when ship enters St Petersburg Roads. Ring up bridge to receive information about ice conditions in St Petersburg Roads area. Fortunately, ice is not heavy and special modes of the power plant will not be required. However, I make instruction to Watch Engineer to pay great attention when ship will be proceeding in ice. Engineers carry out service maintenance in accordance with their own schedules. I carry out full inspection of engine room compartments to ensure all equipment is functioning correctly and safely. All parameters of main propulsion plant are normal. In connection with cargo operation expected in the evening I visit the cargo control room to check cargo and ballast valves function. I find that one cargo valve group is not performing to the computer’s orders. It is clear that one of the channels of the Saab monitoring system did not work. I call Electrical Engineer and ask him to arrive in the engine control room. Together, we determine reason of malfunction using manufacturer’s recommendation. Defective electronic card is found and replaced with spare one, so the problem settled. After lunch I create requisition list concerning defective card. Card will be landed for repair at first convenient port after superintendent confirmation. Then I go down to the engine control room to record engine room logbook and input necessary dates in my personal computer. These dates are required for Chief Engineer’s monthly report. At the end of the month program will make necessary calculation and after printing I will receive ready report. Pilot is expected in about one hour so I have time to have a cup of coffee with Captain on the bridge. Details of the passage are discussed and critical areas identified. Ice, although present, is not a major problem today. I then proceed to the engine room to assist with preparations for stand-by. Pilotage commenced. Engine room on stand-by. With ship proceeding in ice, extra precautions are necessary and the engine room watch includes 1AE (Watch Engineer), Electrical Engineer and myself. 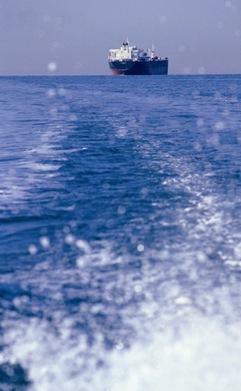 Pilotage proceeds normally with all systems performing as required. Pilotage and mooring completed. Supervise shutdown of main engine and preparation for port conditions. Leave engine room with 1AE and proceed to Captain’s office to discuss a question with ship agent about landing up defective electric motor for repair (was damaged two days ago) in local workshop. Being evening time, we made appointment to leave settling of this question till tomorrow morning. Proceed to cargo control room to check on cargo operations. All equipment normal. Meet with 1AE to discuss work schedule for following day. Time to relax. Read mail from home. So, one of my working days have passed. Hopefully no call outs in night. Oleg Ivanov has been with Acomarit (UK) Ltd since 1991, sailing as 2nd Assistant, 1st Assistant and now Chief Engineer. All this time has been spent on Bauska, which trades permanently in North West Europe on charter to Neste. The product tanker is one of 150 vessels under Acomarit management and Oleg Ivanov is one of 8,000 seafarers in the company’s employment. Acomarit was the first ship management company to obtain dual DNV SEP and ISO 9002 accreditation.